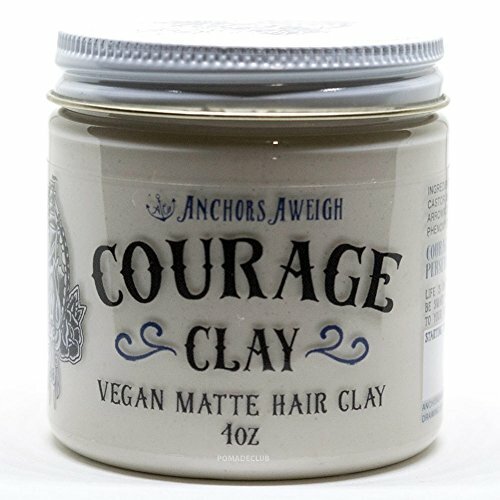 Anchors Hair Company Courage Clay - Natural Vegan Hair Clay (4.5 Oz) by Anchors Aweigh at Lash Beverly Hills. MPN: unknown. Hurry! Limited time offer. Offer valid only while supplies last. Handcrafted by former U.S. Army Paratrooper turned Hair Stylist, Benjamin Miller Courage Clay Vegan Matte Hair Clay is an amazing versitle product. If you have any questions about this product by Anchors Aweigh, contact us by completing and submitting the form below. If you are looking for a specif part number, please include it with your message. JS Sloane Caviar Matte Clay, 3.4 oz. Onesta Hair Care Play Paste, 2 oz.